Penny stock are stock with a low stock price. 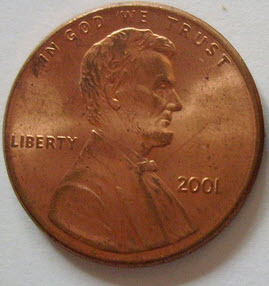 Any stock that has a per unit price of less than USD1 is usually considered a penny stock. However when people are referring to penny stock they often refer to a stock that has a low stock value and that lacks an established solid business. Few people would consider Google or Amazon penny stocks even if they decided to split their shares so that the stock value sank below USD1. The reason for this is that Google and Amazon are mature business. Penny stocks are almost always high risk investments. Penny stocks should never constitute more than a small percentage of your total portfolio. I recommend that you invest less than 10 percent in penny stocks. There is a common misconception among the public that penny stock is cheap. They look at a stock that is listed at 20 cent and think. Imagine if I had only bought Amazon at 20 cent. They are trading at over a 1000 now. I would have been rich. The problem with this is that the stock market does not work that way. Amazon has never been a penny stock. It has never been publicly traded below 1 USD:. Amazon was traded at 18 when they were first listed in 1997. Most big companies have never been penny stocks. Most penny stocks will never be big companies. That is not how it works. A stock with a lower price is not cheaper then one with a higher price. A penny stock that cost 5 cent can be expensive and a stock costing $1000 can be cheap. It is not the price of the share but what you get for the money you invest that decides if a stock is cheap or not. The assets and profit of the company you invest in put in relation to the combined price of all shares decides if a stock is cheap or not. The total number of shares play an important role in whether the stock is cheap or not. Most penny stocks are expensive when you see that the companies are making no profit and has a lot of debt. Some penny stock might actually be completely worthless or have a negative theoretical true value. Not all penny stock are bad, but you can not assume that they are cheap just because the price are low. One reasons that many investor like penny stock is that they are very volatile. IE the share value go up and down a lot regardless of underlying fundamentals. The shares often increase or decrease in value a lot each day. It is not uncommon for penny stock to increase or decrease 10-20% in a day. The change in price of each stock is usually low but the change in percentage is high due to low stock price. A skilled trader can make a lot of money by buying and selling a stock during these fluctuations. This especially true for stock that have a predictable pattern. Most penny stocks are more suitable for speculation then they are for long term investment. Stock picking scams: The scammer sells a service that claims to be able to pick winning penny stocks and can often show an impressing history showing how much you would have earned trading on their recommendations. The history is faked and the scammer just want to trick you into paying for a worthless service. Pump & dump scams: Penny stocks are often used for pump and dump scams since they are easy to manipulated.